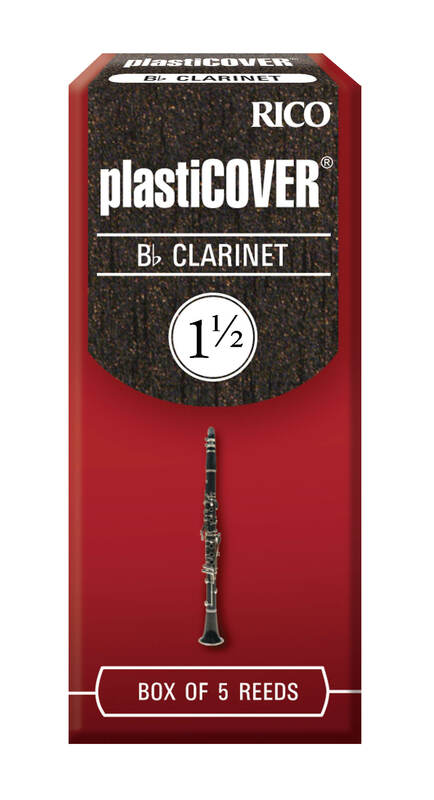 Designed to resist moisture and climate changes, Plasticover is ideal for doublers who need to make quick changes between instruments. Whether in moist tropics or in desert heat, Plasticover responds instantly. The durable coating also provides a clear, projecting tone, making Plasticover a favorite with jazz, studio and pop musicians. Since the acquisition of Rico by D'Addario & Co., Rico has strengthened its position as the global leader in woodwind reeds and accessories. Rico's state-of-the-art reed research center in Southern California employs a collaboration of agronomists, scientists, and musicians to produce top-quality reeds, including Rico Reserve premium reeds for clarinet and saxophone. Rico reeds are designed to benefit all levels of musicians, from the beginner to the seasoned professional. Many of the world's finest woodwind players perform with Rico reeds, such as Mark Nuccio, Jerry Bergonzi, Chris Potter, Benny Golson, Ernie Watts, Bob Sheppard, Henri Bok, Richie Hawley, Eric Alexander, and many more.